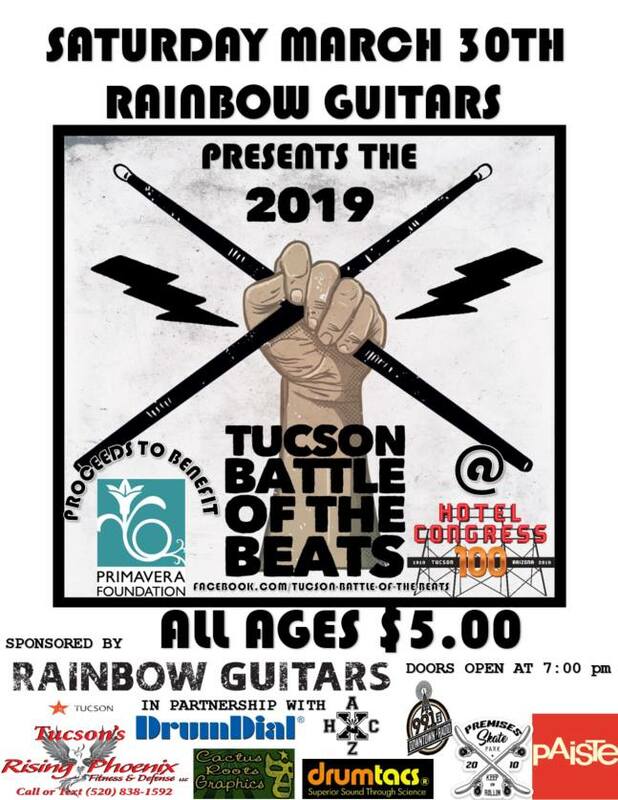 Rainbow Guitars presents an all-ages percussion showcase/competition for up-and-coming drummers at Hotel Congress on March 30, 2019. Club Congress will donate 85% of each ticket to the Primavera Foundation. Tickets are $5. The Battle of the Beats' mission is to provide healthy local exposure in an equally healthy and positive environment while raising awareness and support for local community and social service resources. Founded by Kristi Davis (of no particular affiliation) and Clay Reed of Rainbow Guitars in 2017.